The mascara comes in an attractive packaging. The gold and black color packaging is just irresistable and classy. 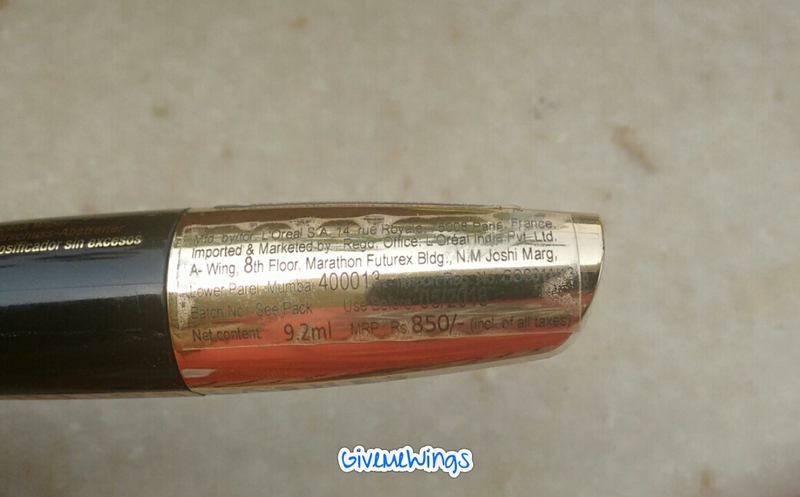 The plastic tube contains a thick wand with short well separated hair brush at the end. 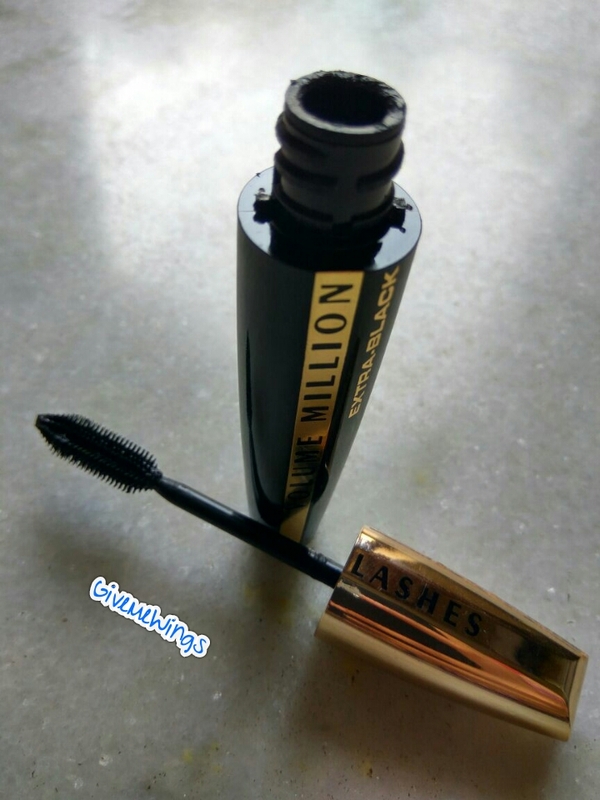 I had heard so much about this product that as soon as my Maybelline Mascara got over, I went ahead and bought myself L’Oréal Paris Volume Million Lashes. I don’t use false lashes and was therefore looking for a product that could give my Lashes a voluminous, thick and luxurious. 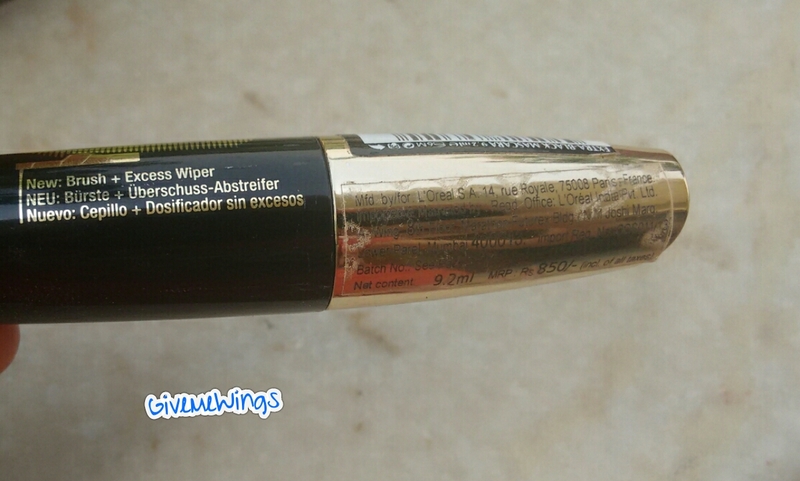 Unlike the other mascaras that leave your Lashes all curled up this one is made by wiper technology brush/wand. The wand doesn’t pick up excess product therefore does not leave the Lashes laden with the product. 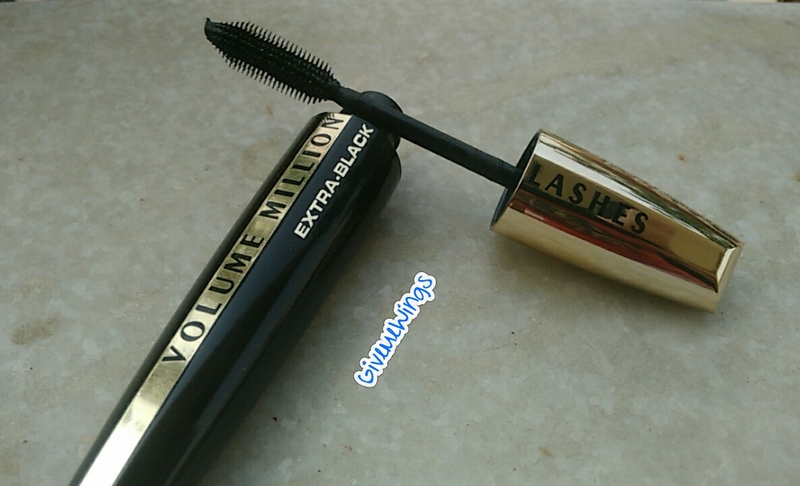 This products fulfills all that can be asked from a luxurious mascara. It lengthens as well as volumizes Lashes. The amazing technology gives a well defined and neat look. It also hold us nicely for an entire day without flaking off. The only disadvantage is that it is not water proof but the water resistant technology works well for me as I don’t have sweaty eye area. 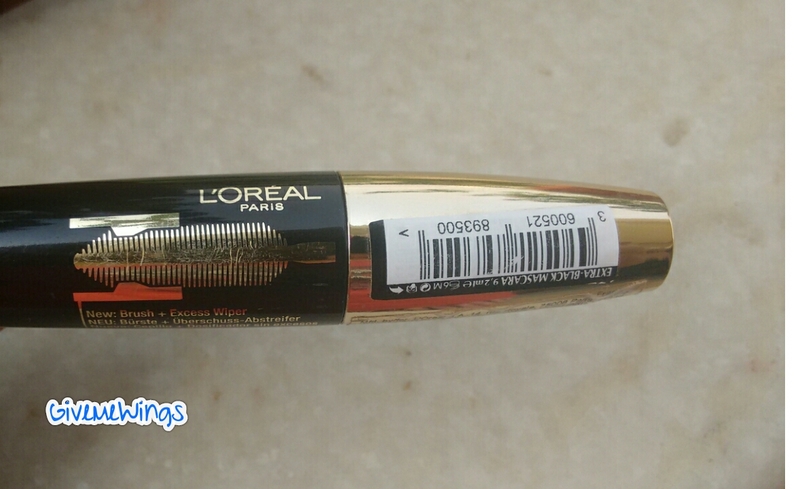 1) Attractive Packaging, with a well designed brush that doesn’t pick up excess product. With the amazing and attractive packaging this product is a must try. 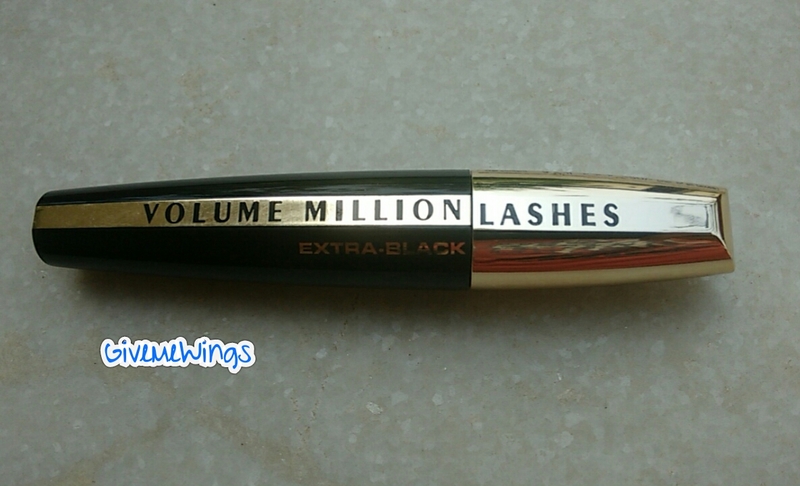 It’s extra black color and hyper volumizing technology has made them my favourite mascara that I’ve ever used(so far *wink*). 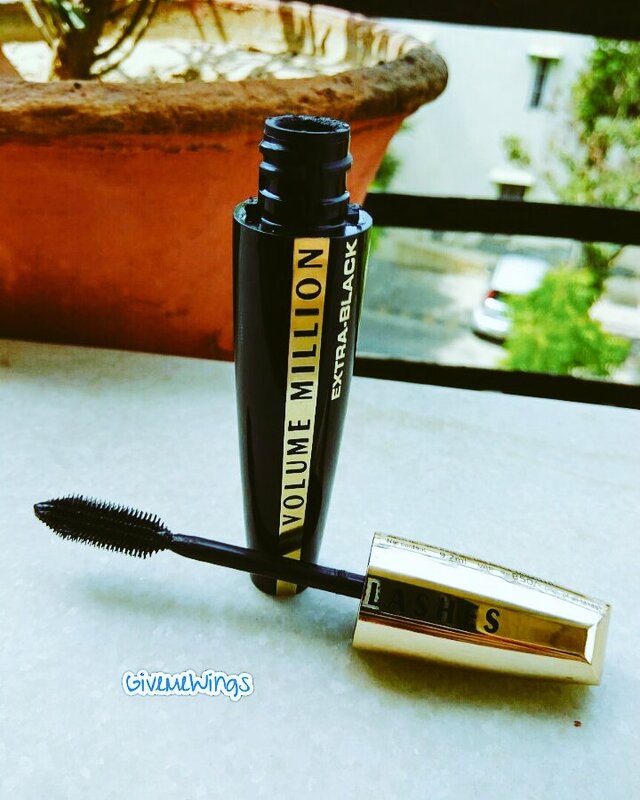 If you have ever used L’Oréal Paris Volume Million Lashes Mascara tell me your experience in the comments. See ya soon everyone with another blog post! !